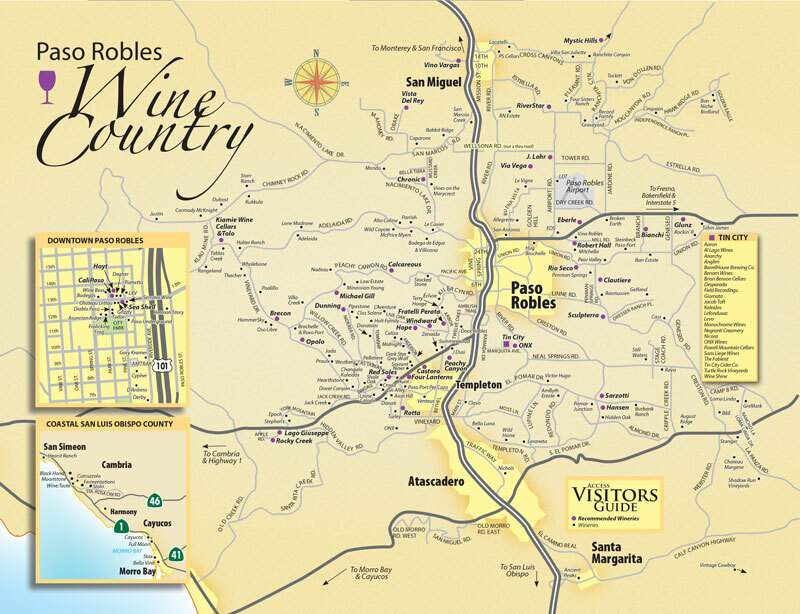 Wine tasting map of Paso Robles published by the San Luis Obispo County Visitors Guide. Are you looking for the best places to go wine tasting in Paso Robles? 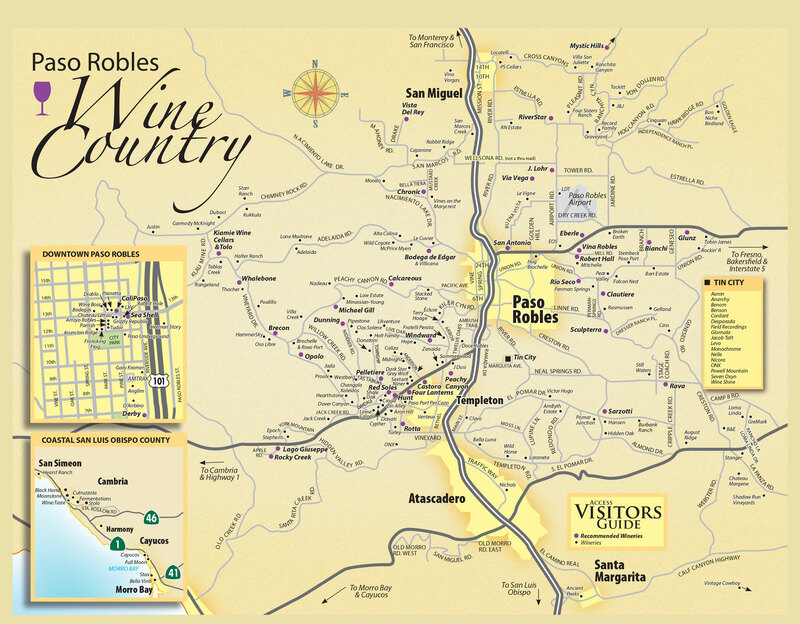 Check out this comprehensive map of the Paso Robles Wine Country. It includes every tasting room available. There are over 200 in the 93446 zip code and these are our favorites. The places marked in bold with a purple dot are our recommendations. The Paso Robles wine map is provided courtesy of the San Luis Obispo County Visitors Guide. Enjoy your wine tasting adventure. Paso Robles Wine Country is an American Viticultural Area located in the San Luis Obispo County, Ca. It has approximately 26,000 vineyard acres planted with wine grapes, and is well known for its heritage varietal zinfandel, Rhône-style wines, and red blends and styles that are unique to Paso Robles Wine Country. Grapes were first introduced into the Paso Robles area in 1797 by missionaries at Mission San Miguel Arcangel, where more than one thousand vines were planted. Commercial wine growing, however, wasn’t started until the 1880s with the establishment of Ascension Winery, today known as York Mountain Winery, the longest continuously operating winery in the County. 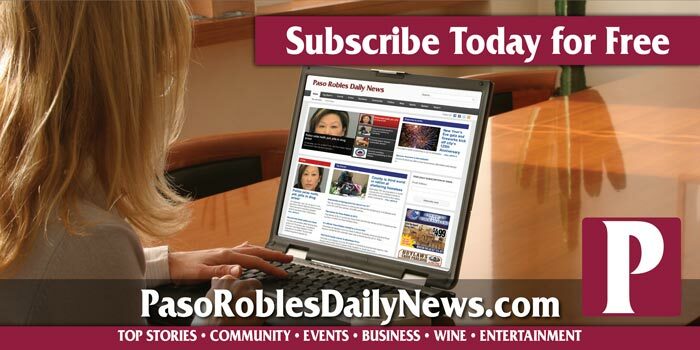 Since 1990, when there were fewer than 20 wineries in Paso Robles, a large expansion of activity has seen the number rise to more than 200 wineries today. Use the Paso Robles wine map above to discover some of our favorite places around town. If you are looking to invest in the local wine industry, there is a new local agency specializing in buying and sell winery and vineyard real estate. The local leader in commercial property, Pacifica Commercial Realty, recently launched a new real estate service: Pacifica Wine Division. For the latest listing of vineyards and wineries for sale, give them a call at (805) 237-4040.